Lisa Williams is my favorite psychic medium of all time! When her show Life Among the Dead was airing on Lifetime, I made sure I was there religiously to watch her. I watched her share her gift in sheer awe and I often find myself perusing YouTube re-watching the episodes. During the time that Life Among the Dead was airing, I was rapidly undergoing my own psychic and mediumship development.  Honestly, learning how to become a psychic medium is one of the most desired gifts in the psychic pantheon and why wouldn’t it be? Who among us wouldn’t want one last chance to speak with their departed loved ones? 1. Meditation. Meditation seems to be the buzzword of the day and with great reason. You have to be able to sit with yourself and control your own thoughts. You have to be able to quiet the clutter. You must meditate regularly. However, a word about meditation: it doesn’t have to be what you traditionally think of as meditation. Meditation is a very unique experience. If there is something that causes you to zone out and “leave” mentally, that is your meditation. For me, taking a hot shower causes me to zone out and quiet my mind. So does taking a walk. Some of my clients even paint. I recommend starting with guided meditations and you can find many free guided meditations on YouTube. 2. Grounding. You must ground yourself so you don’t do yourself an energetic and spiritual disservice. Think of grounding as stretching before you workout. Can you workout without stretching? Absolutely! Does the risk of injury dramatically increase if you do? You bet! You can find amazing short guided grounding meditations on YouTube. 4. Clarity. Insomuch as you are able, you need to keep a clear mind and head. That means remaining alcohol and drug free, especially when doing any psychic and spiritual work. 5. Intention. Set your intention. If you’re looking to have something cool to brag about with friends or looking to show off what you can do, you’re not going to go very far with developing this. If your intention is negative or meant to cause harm in any way, you are likely to not develop this gift positively. 6. Control. Simply put, you cannot control Spirit. You cannot control who comes through. You will pull in your Spirit Guides and potentially people you have never even met. Spirit’s intention will always be honest and positive, never negative. If you ever run into a Spirit with negative energy, know that they are not a Spirit you need to be dealing with; no exception to this rule! But you cannot control who will come through. If you’ve read my story, you know I lost my brother in 1999. He has yet to come through in any of my sessions. 7. Coincidence and Déjà vu. Simply put, Spirit is always around us and like Hansel and Gretel, leaving breadcrumbs to let us know they’re around. Pay attention to music that comes on that makes you think of a particular person that may have passed over. The same goes for scents, dreams, and even particular numerical sequences. 8. Journaling. It’s a good idea to begin writing out your experiences, messages, and interactions with Spirit daily. This will help you discover patterns and even symbols that Spirit is sending you. 9. Spirit Guides. Even if you have not met your spirit guides, they are always around and have been with you since before you were born and will be with you as you leave this planet. You can still speak with them and ask them for their assistance. They will gladly oblige. 10. Mentor. If you can find a mentor (online or otherwise) to work with in developing this gift, do so. I am always available to help those who seek to further this gift. Many blessings to you as you embark on this journey!  Larry (or ParaLarry) is a psychic medium who has been doing readings for over 15 years. He first amassed his following on Reddit providing low cost readings and since then, he has opened his own website at ParaLarry.com to further share his gift. If you would like to learn more about psychic mediumship, be sure to visit for more information.